I am currently taking on commission work. your specifications of shape, size, and color. Boom dee ay! Tara (tar-rah) Lynn was born in the late 1950s to Billie and Karl A.A. Reuther. She was given the name Tara after the 1930s' book Gone with the Wind, specifically the plantation home of protagonist, Scarlett O'Hara. 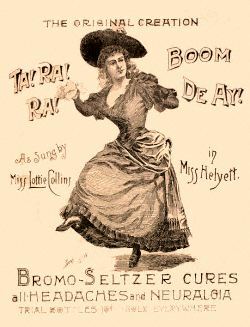 "Ta Ra Ra Boom Dee Ay", a sing-song popularized in the 1800s became a playful way for Tara and others to call her. Clay. Tara's relationship with clay began in childhood art classes. As a student at Our Lady of the Elms Catholic School for girls, she studied under Sister Evangeline Doyle, a highly regarded sculptor, and found the medium that would later become this artist's way. Tara continued studying claywork and ceramics adding the wheel to her abilities. In 2003, Tara graduated from Kent State University with a bachelors in art education and returned to Our Lady of the Elms School as the head of the art department. As a teacher, Tara fostered a love of claying amongst her own students and passed on the legacy of Sister Evangeline. As Tara taught she also maintained her own artistic projects. 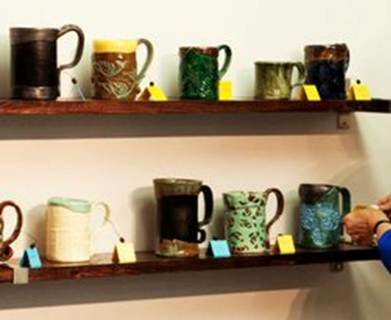 Driven and delightful, Tara rolled, pressed, sculpted, glazed and named the functionally-fun Boomdeeay mugs. These vastly unique slab-pots have been called "the perfect mug", "my favorite mug", "able to soak two Oreo cookies at one time", and "a gift to every customer." Tara has also designed what has come to be known as the sophiscated Norahkin Wave Collection. These organic creations are each hand-coiled to keep a delicate stature without falling or breaking through the claying process. After seeing one it is not unsual to feel in-awe of Tara's ability to guide the clay in unmatched ways between the bounds of adventure and stability. One. Coil. At a time. 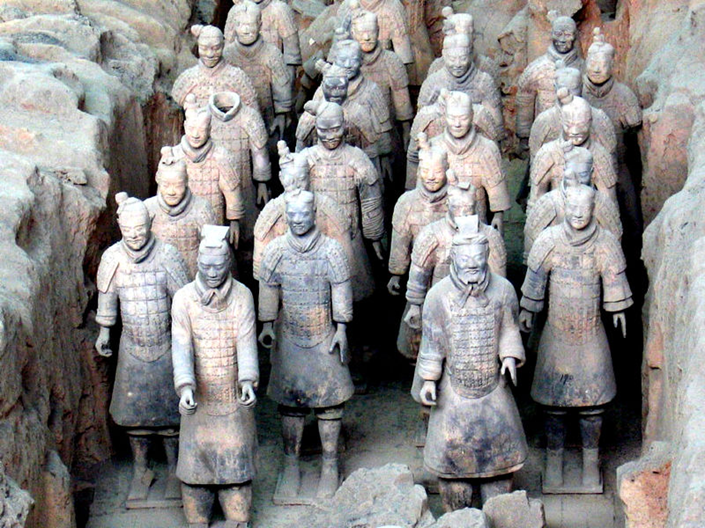 The Terracotta soldiers of China are believed to have been made in the same fashion--clay from the earth rolled into long snake-like ropes then wrapped in coils to the height of an actual man. Although this technique is much more laborious than using a mold or sculpting the statues from blocks of clay, coiling the sculpture allowed for each one to be as diverse as real men and lighter in weight. Like the famous Terracotta Army, Boomdeeay Clay Potts are all one of a kind, started and finished by strong hands, exposed to incredible temperatures, and marked with a collector's signature. Now Tara and her collection are recognized nationally. 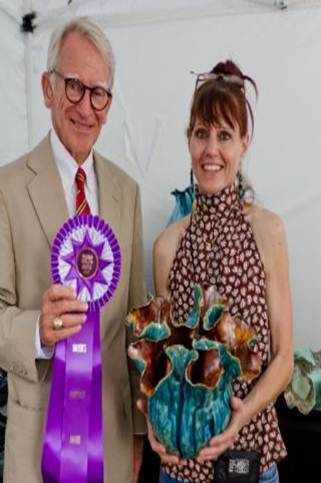 She has received awards at her first two shows, an Award of Distinction at ArtFest in Palm Beach, Florida and the prestigious Mayor's Purchase Award﻿ for excellence in Charleston, South Carolina, as well as receiving entry to the Loveland Sculpture Invitational with 3-D artists from around the world. She has also earned the admiration of her family, generations older and younger, who love watching her realize her muchness. Norah, Tara's grand-daughter, is one of the youngest to fall in love with the magic of Boomdeeclay (though it is all kept far from her curious hands). Little Miss Norah is the namesake of the Norahkin Wave Collection. 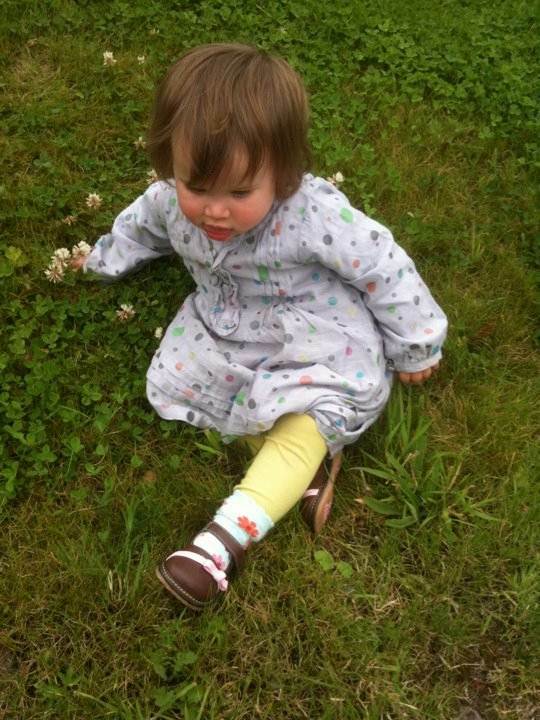 She lives with Tara's oldest son, Ryan and his family in Sligo, Ireland. I don't believe that Tara's art is intended to capture the essence of a wave. I think it is nature that moves her. Her ownership of the craft married to surrendering the outcome, creates the enchanting waterlike energy of Boomdeeay. The sentimental me likes to think my clever mother has found a way to honor the waves moving between our literal and metaphorical shores. Copyright 2011 Boomdeeay. All rights reserved.